Trying to make sense of Apple's approach to iCloud storage leaves you head-scratching. At the 2001 Macworld Expo in San Francisco, just before presenting iTunes to the world, Steve Jobs outlined Apple’s Digital Hub strategy. He discussed the new digital devices that people carried around with them: cellphones, cameras, PDAs, music players, and more. Jobs’ vision was that the Mac would become the digital hub, and that this would ensure the longevity of the personal computer. But Apple’s strategy changed pretty quickly. The digital hub on the Mac never really took off, and was soon offloaded to what we now call the cloud. In successive iterations—iTools, .Mac, MobileMe, and now iCloud—Apple has built its products around services hosted in the cloud. Mac and iOS device owners depend on iCloud. We use it for our music, our photos, our contacts, calendars, and reminders. We store our email in the cloud, as well as our notes and many of our files. And, critically, we back up our iOS devices to iCloud (though you can and should also back them up to your Mac using iTunes). There is no such thing as a free lunch, and that iCloud account really isn’t “free;” it’s factored into the cost of the devices we buy. So why doesn’t Apple give us 5GB of iCloud storage for each device we own? These services, once dependent on an annual subscription ($99 a year for MobileMe in the US; $149 for a family plan), are now free. But as the price dropped, so did the amount of storage allocated to users. From 10GB with .Mac (initially, .Mac offered 100MB), to 20GB with MobileMe, iCloud only offers 5GB per user. 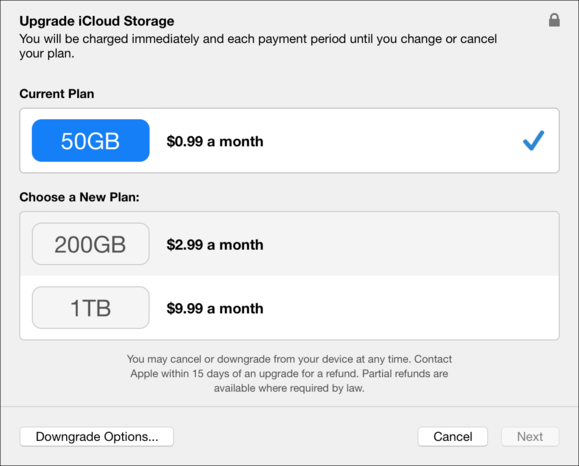 You can pay to get more storage, of course, and that’s how Apple makes some spare change. But only 5GB per user? Seriously? 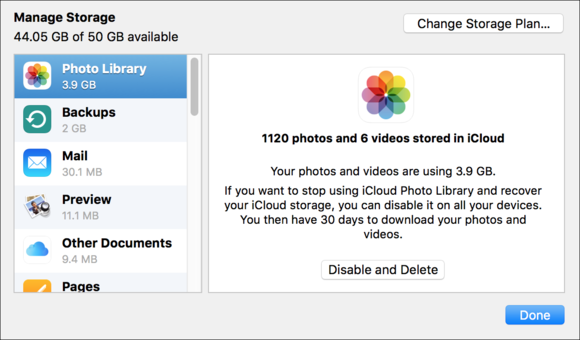 Remember, you use your iCloud storage not only for your data—photos, email, files, etc.—but also to back up your iOS devices. The files are stored just once, no matter how many devices you own, but each device needs space for its backup. I’m probably not alone in having more than one iOS device. Many people have an iPhone and an iPad, and backing up two devices with a 5GB plan is difficult. If you have an average photo library (mine is 3.9GB), and I don’t take a lot of photos, then you’re quickly short on space. And while I’m not an email hoarder, I know people who have gigabytes of email. And when people run out of space, the first thing they probably do is turn off backups for their devices, which isn’t a good idea. If anything, device backups shouldn’t count against the iCloud storage quota, because they are so important. I have a small photo library, but it’s still nearly 4GB. There is no such thing as a free lunch, and that iCloud account really isn’t “free;” it’s factored into the cost of the devices we buy. So why doesn’t Apple give us 5GB of iCloud storage for each device we own? If you have an iPhone, you get 5GB. If you also have an iPad, you get another 5GB. And if you have a Mac, perhaps you get an additional 10GB, especially because of the new optimized storage feature in macOS Sierra that will let you offload infrequently used files to iCloud. To be fair, it’s not expensive to add storage to your iCloud account; it only costs a buck a month to up your quota to 50GB. But many users won’t bother; it’s a hassle to have to add another recurring subscription to their lives. And the paid storage tiers aren’t practical; you jump from 50GB to 200GB, then to 1TB. You might want, say, 500GB, because you have several iOS devices and a lot of photos, but you have to take 1 TB at $120 a year, whereas 200GB is only $36 a year. There could be a tier in the middle. You can pay for additional iCloud storage. 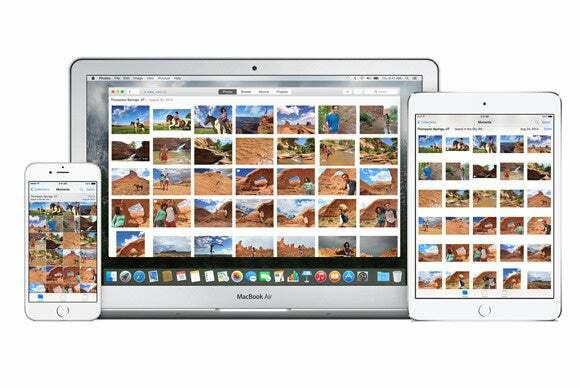 Given the cost of iOS devices and Macs, Apple’s 5GB free iCloud storage just seems stingy. Give use a bit more, so we can safely back up our iOS devices, and give us a bonus when we own multiple devices. It’s hard to use all the features of Apple’s operating systems and devices without iCloud, and limiting the amount of storage users have will only prevent them from taking advantage of all that iCloud has to offer.